Running a team online and managing priorities can feel like an overwhelming task. We want Upwave to give you a feeling of control and to simplify your work day, using some very clear principles. More information on user accounts can be found here. Over time, your understanding of how to get the best from Upwave will evolve and you can customise each project to your needs, but these two rules are the most important to remember. Of course, you can be as creative as you like with Upwave, but here we’ll just cover the basics. This is your Workspace. Here, everyone in your workspace will see public teams and teams they are a part of. Remember, Upwave is designed for collaboration and works best when you are not on your own. 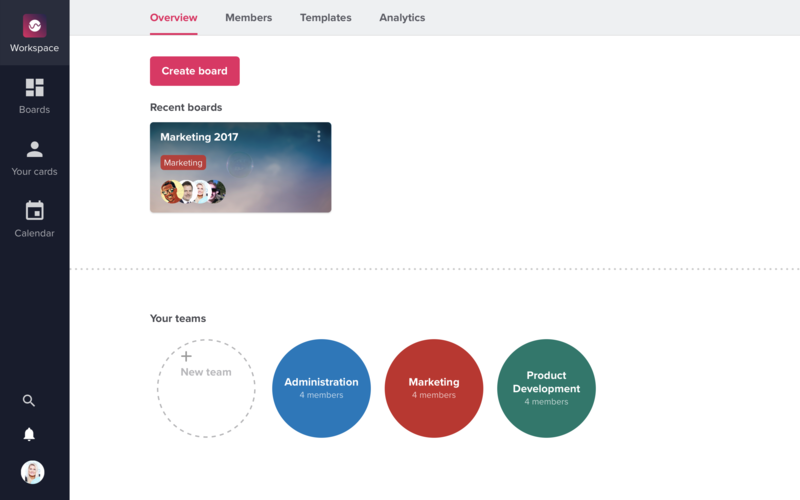 You can invite new worksapce members by clicking your profile picture in the bottom left corner and then choose “invite new members”. 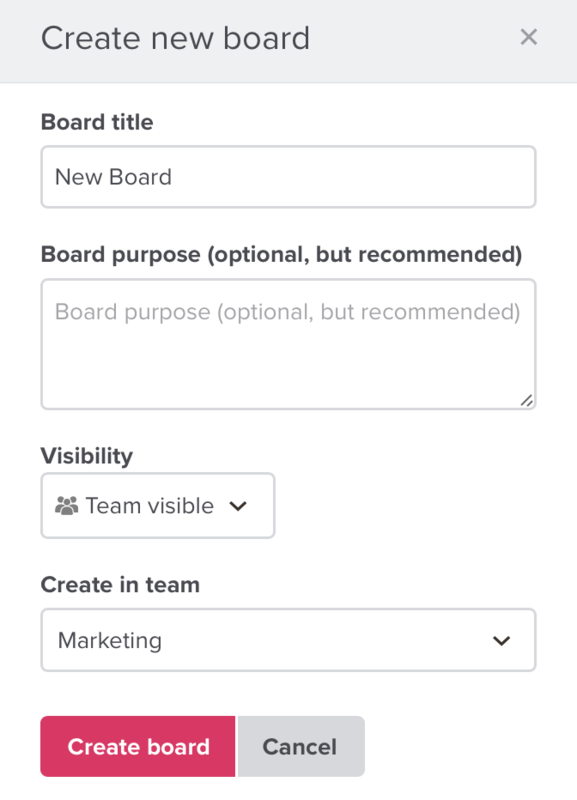 We recommend starting with whatever project is your biggest priority or whatever it is that makes you feel most stressed (if you want to create a private project, just check the box and only you and those team members you invite will be able to see it). You can name your project whatever you like, we recommend something that’s related to the end goal and easy to understand for the team. Articulating the purpose of the project can be enormously helpful for everyone on the team. This is how your project page will look at first. A clean slate, ready for all those thoughts you have bouncing around. First, take some time to consider everything that needs to be done to complete your project. Hit the “+ Add task” in the “To Do” column and enter all the individual tasks. Work with your team to decide when these tasks need to be delivered and who is responsible for them. The taskbar is at the bottom of each card. To better visualise your work, colors can be added to your created cards. What we call - color coding, a comprehensive guide can be found here. 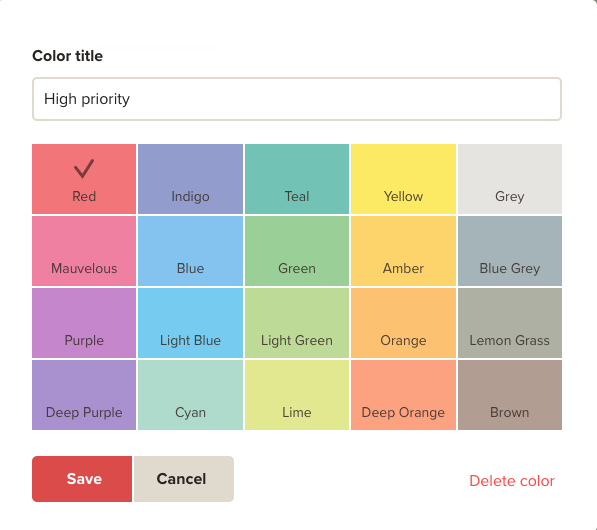 For each color you select, you assign with a title ( i.g. the color red is assigned as a high priority title). When this has been done each cards you have created can be marked with one of the assigned colors. This way you can better have your cards visually organized. More information about how to get more out of your cards can be found under the card details section. Multi-tasking is overrated! Research by the American Psychological Association shows that switching between tasks can slow a person’s productivity by up to 40%. Try to limit yourself and your team members to maximum 2 tasks each at a time. This is where prioritisation is key. To help, we have a very simple color coding - red for high priority and green for low priority (as seen above). Try colour coding your tasks, you might be surprised by how much it helps. These colours are fully customisable and you can be as creative as you want with them, give it a try and see what works for you. 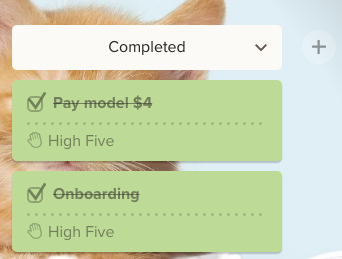 Seeing your completed tasks stack up is motivating. In Upwave we encourage to celebrate each other’s successes so don’t forget to “High Five” each other for tasks completed.